Mojave’s Aniya Marshall had 12 kills, eight aces and four blocks Monday to lead the Rattlers to a 25-27, 25-7, 25-18, 25-17 girls volleyball victory over visiting Chaparral. 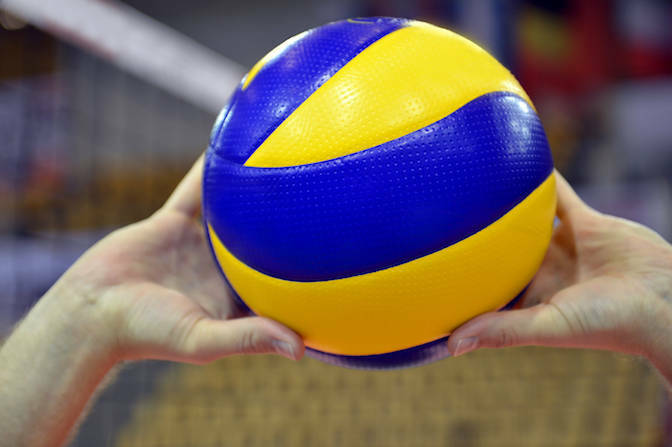 Vany Carballo added 13 digs and five aces, and Madison Lopez served eight aces for Mojave. Bree’jahn Banks had seven kills, and Maria Agao dished out 14 assists for the Cowboys. Shadow Ridge 3, Arbor View 0 — Alysha Smith had 11 kills, 12 assists, 22 digs, and three aces as the Mustangs defeated the Aggies, 25-17, 25-20, 25-23. Shadow Ridge’s Makayla Alia had 16 assists, 13 digs, and two aces, and teammate Jaden Jones had eight kills. Alina Oranchak led Arbor View with 10 kills and 10 digs. Sadae Cintron had 21 assists, eight kills, and two blocks, and Bailey Olbur had nine kills and four blocks for the Aggies. Centennial 3, Bonanza 0 — At Bonanza, Hailey Thurman had 19 assists and seven digs as the Bulldogs took down the Bengals, 25-18, 25-23, 25-23. Elijah Mendez had eight digs for Centennial. Alexis Yeghiayan and Taylor Lindell each had four kills for the Bulldogs. Nicole Degro had 16 assists, four aces and seven digs for Bonanza. Melissa Fales added five kills, and Sydney Evelyn Harner had 15 digs for the Bengals. Canyon Springs 3, Desert Pines 1 — At Canyon Springs, Jeannette Fine had four kills, two assists, three aces and 11 digs as the Pioneers defeated the Jaguars, 20-25, 25-14, 25-19, 25-16. Dominique McIntyre had four kills, five aces and two digs for Canyon Springs, and Ja’Nasia Spand had two kills, five aces and seven digs for the Pioneers. BreZana Thomas had eight blocks and two kills to lead Desert Pines, which got seven assists from Karyme McGhee. Palo Verde 3, Legacy 0 — At Palo Verde, Arien Fafard had 22 assists, nine kills, and 11 digs as the Panthers defeated the Longhorns, 25-9, 25-15, 25-17. Mia Sadler also had 10 digs and two aces, and Alyssa Hewitt had nine kills and two aces for Palo Verde. Kaila Yang added seven kills for the Panthers. Jazmyne Walker led Legacy with 17 kills and six digs. Juliette Kirk added 18 assists and six digs, and Alyssa Fuller had 23 digs for the Longhorns. Faith Lutheran 3, Cheyenne 0 — At Cheyenne, Isabelle Guerrero and Anna Massari each had 11 kills as the Crusaders defeated the Desert Shields, 25-9, 25-16, 25-11. Faith Lutheran’s Olivia Magruder also had 13 assist, and teammate Lauren Tomita had 12 digs. Cheyenne’s Arabic McLaurin had 10 digs. Tia Echols and Miya Burns each had three kills for the Desert Shields. Las Vegas 3, Eldorado 0 — At Eldorado, Brooklyn Stone had 26 assists and four aces as the Wildcats defeated the Sundevils, 25-7, 25-11, 25-3. Victoria Barney had six kills, nine digs, and three aces, and Skyla Faught had five kills, five aces and five digs for Las Vegas. Eldorado’s Alexy Valerio had eight digs, and Deanna Contreras had seven digs for the Sundevils. Cimarron-Memorial 3, Rancho 1 — At Rancho, the Spartans beat the Rams, 25-15, 15-25, 25-20, 25-20. Rancho’s Angelina Robles had 17 kills and six digs, and Jan Duhaylungsod added 31 assists and six digs for the Rams. SLAM Academy 3, Liberty Baptist 1 — At SLAM Academy, Amanda Lara had eight kills, seven digs and three aces, and Natalya Barney had 13 kills and four digs as the Bulls beat the Knights, 25-17, 25-19, 24-26, 25-19. Kirsten Scott had 20 assists and three aces for SLAM Academy, and teammate Austynn Martinson had seven kills. Jade Halverson had 22 digs, nine kills, nine assists, five aces and two blocks for Liberty Baptist. Kelsey Guardiola had 17 digs, six assists, five kills and three aces, and Kiley Guardiola had 18 digs, six kills, two aces and two blocks for the Knights.